On this day in 98, Trajan succeeded his adoptive father Nerva as Roman emperor; under his rule the Roman Empire would reach its maximum extent. On this day in 1593, the Vatican opens the seven-year trial of scholar Giordano Bruno. On this day in 1606, the trial of Guy Fawkes and other conspirators begins, ending with their execution on January 31. On this day in 1825, the U.S. Congress approves Indian Territory (in what is present-day Oklahoma), clearing the way for forced relocation of the Eastern Indians on the "Trail of Tears". On this day in 1945, the Red Army liberates the remained inmates of the Auschwitz-Birkenau concentration camp built by the Nazi Germans on the territory of Poland. On this day in 1967, on the same day that the UK, USA and USSR sign the Outer Space Treaty in Washington DC banning deployment of nuclear weapons in space, astronauts Gus Grissom, Edward White and Roger Chaffee are killed in a fire during a test of their Apollo 1 spacecraft at the Kennedy Space Center, Florida. On this day in 1973, the Paris Peace Accords officially end the Vietnam War. Colonel William Nolde is killed in action becoming the conflict's last recorded American combat casualty. On this day in 1980, through cooperation between the U.S. and Canadian governments, six American diplomats secretly escape hostilities in Iran in the culmination of the Canadian Caper. This event is the basis of the film Argo. 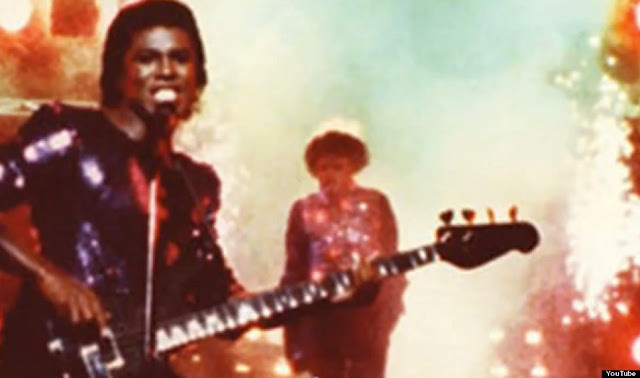 On this day in 1984, pop singer Michael Jackson suffers second degree burns to his scalp during the filming of a Pepsi commercial in the Shrine Auditorium. On this day in 1993, American-born sumo wrestler Akebono Tarō becomes the first foreigner to be promoted to the sport's highest rank of yokozuna. On this day in 1996, Germany first observes International Holocaust Remembrance Day. On this day in 2002, an explosion at a military storage facility in Lagos, Nigeria, kills at least 1,100 people and displaces over 20,000 others. On this day in 2013, 242 people die in a nightclub fire in the city of Santa Maria, Brazil.